Alternative forms of lending are still relatively new in the Australian finance market, so building customer trust in an untested fishbowl is no small challenge. But this is precisely why Rebecca James, Prospa’s new chief marketing and enterprise officer, took the job almost five months ago. Rebecca got her start as part of the founding team of Lavender, now CX agency Lavender. What was then a small staff of five grew to having 140 with offices in Sydney, Melbourne and, for a number of years, Auckland and Wellington. After 10 years of being MD, she sought end-to-end accountability and switched to CMO of industry superfund owned bank, ME. Her work there to reposition the brand and build the business around the customer earnt her 12th position in the CMO50 for 2016. Launched six years ago, Prospa is now Australia’s number one online lender for small business, providing loans to more than 12,000 small businesses across the country. In November, it placed second in the AFR Fast 100 for 2017 thanks to a 239 per cent average revenue growth since 2013-14. Last year, Prospa secured over $50m in equity and debt funding, and doubled the size of its loan book. 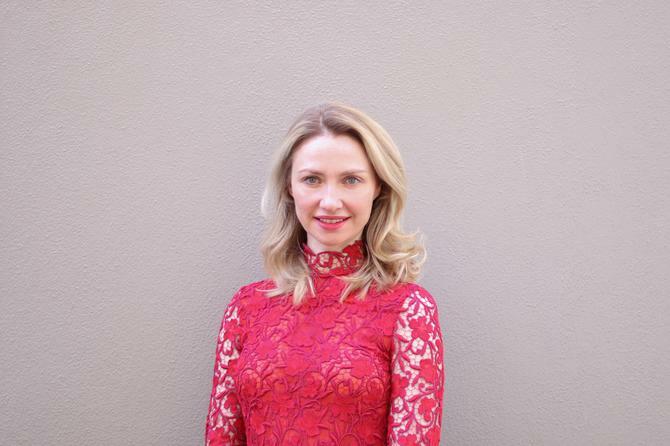 Despite these early successes, James is not resting on her laurels; in her role as chief marketing and enterprise officer she aims to reach all those small businesses in Australia who still need funds to reach their full growth potential. “I love the fact we’re supporting a sector of the community that has been neglected by traditional players,” she explains. “It’s the small business owners that create jobs and drive over 35 per cent of GDP, and who for years have been told ‘no’, or asked to jump through hoops when it comes to obtaining finance. In the short term, James is not only looking to increase awareness of the brand but, crucially, educate the market on new forms of finance. She admits building trust in Prospa is key to this, so alternative forms of lending are seen as a legitimate, more convenient and faster way to source funding for those who might have trouble accessing funding from traditional lenders. “Alternate forms of lending for small business are still relatively new to the market. My responsibilities are to increase awareness and education of the Prospa product, including making the product mainstream, supporting the marketing efforts for all of our distribution channels, driving customer growth and retention, and forming alliances with strategic partners to expand our reach,” she says. Longer term will see Prospa launch new products and enter new lending markets. Many businesses, like Prospa, now recognise the need for a comprehensive, integrated marketing campaign that reaches beyond simple promotion to ensure holistic, positive customer experience. James is convinced there is a resurgence of the importance of marketing within organisations now. “Marketing is no longer viewed as purely promotion. Businesses who are thriving are slashing through bureaucracy and creating beautiful customer experiences. In fact, some of the largest corporations, Apple, Amazon, Google, have become the most valuable by focusing on just that,” she comments. Much like many businesses are discovering now, paying lip service to good corporate citizenship and ethics is no longer an option, James says. “The most important thing I have learnt is to ensure that the whole business is aligned around what it stands for. What special sauce differentiates it from the competition?” James asks. This thinking underpins the rationale behind James’ focus on the customer experience at Prospa. It’s customer-led thinking that’s behind the enhancing credit algorithms, so businesses trading for as little as six months can access finance; or the ability to receive funds the very next day. “We’ll continue to challenge banking norms to deliver a better experience,” James says. “Of course, technology is vital to deliver on the experiences that consumers crave: personalisation, simplicity and speed. Customers want for things to be done in an instant. However, with many businesses using the same technology stack, having the best tech doesn’t guarantee success. Design, creativity, consistency are all key.